★FLEAT VII takes place in Building 11, Waseda University. Building 11 is located in the heart of Waseda campus, which is also located in the heart of Tokyo. Around the venue, there are two international airport: Narita International Airport (NRT) and Tokyo International Airport (Haneda; HND). They are served by a variety of major airlines that make it easily accessible from most major cities. After arriving at NRT, the most convenient way to get to your hotel or the venue is to get on a train. 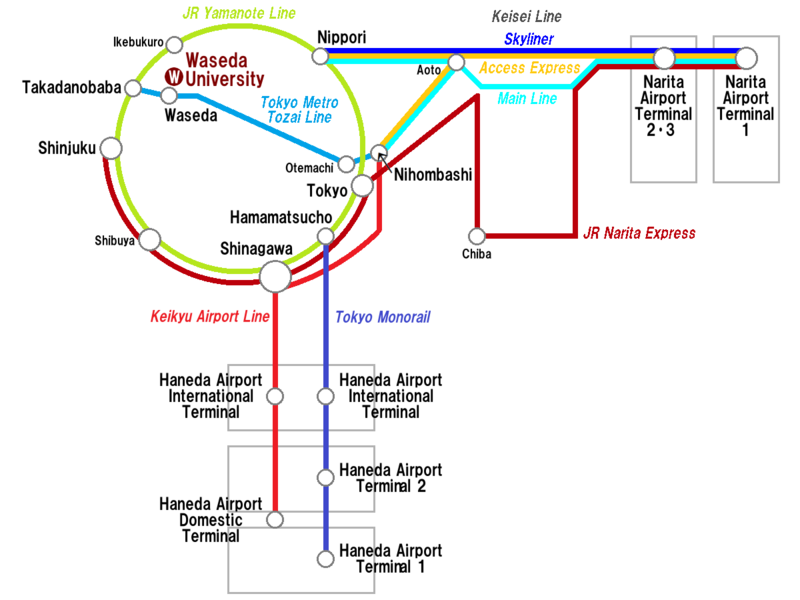 Buses are also available from the airports to Tokyo or Shinjuku districts.